I'll probably submit it to the redesign contest. After some photoshop. Make him hold the M-bot's severed head. If the shoulders are supposed to be symmetrical then one of the plates protecting the shoulders needs to be bent/straightened. They're not, the right shoulder armor's size is based on the logic that anyone with a working brain wouldn't get within the firing arc of a weapon and would try to flank it on the "weak side." 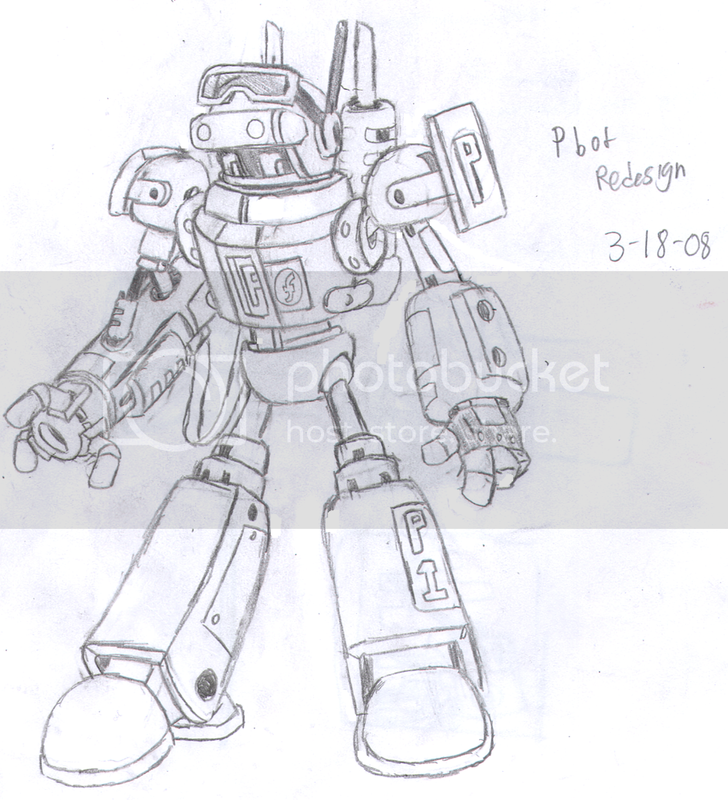 Nice, you really do like drawing robots haha. But you do do it really well. Saying i love giant robots is like saying the sky is blue. Wow that looks great already! I can't wait for you to do the final version with photoshop! Uh-huh, you sure love them big hard stiff robots, standing up so tall and cool.